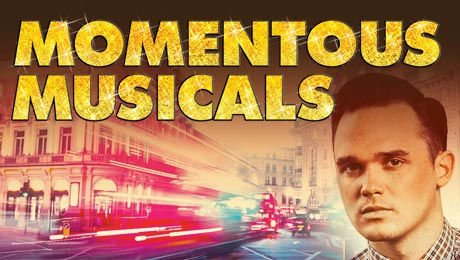 Updated 24th May: West End stars Gareth Gates , Jonathan Ansell, Daniel Boys and Rachael Wooding will star in a gala concert of Momentous Musicals at the New Wimbledon Theatre on 19th July 2012. Gareth Gates (Joseph, Les Misérables) leads this homage to musical theatre featuring songs from much-loved shows including West Side Story, Phantom of the Opera, Wicked and Miss Saigon. He is joined by a cast of West End stars including ex G4 member Jonathan Ansell, Daniel Boys (Avenue Q), William Sweet, Rachael Wooding (Jersey Boys, Hairspray, Fame, Evita) with an amazing ensemble of dancers and a live on stage band. Momentous Musicals is produced by Neil Eckersley for Speckulation Entertainment. It is directed by John Garfield-Roberts, with choreography by Racky Plews.